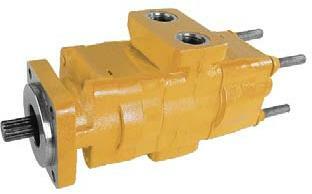 We stock a wide array of high quality hydraulic components for the work truck industries. You can always depend on us to provide you with the largest selection of competitively priced components, minimized downtime due to our extensive inventory, immediate availability and a quick turnaround time. We’re your one-stop shop for hydraulics. We are so confident in the quality and reliability of our products that we back them with an industry leading warranty: 18 months from the time of purchase, 12 months from the time of install. Due to our vast inventory and capabilities, we are sure to have the parts and units you need most, available in stock – ready got immediate delivery from any of our multiple locations across the U.S. and Canada – shipping worldwide. 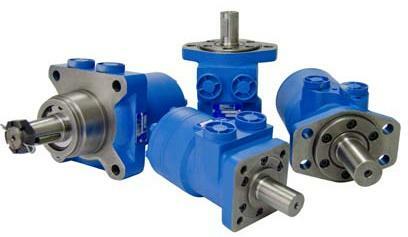 Metaris offers a large selection of balanced rotor vane pumps: ideally used for steering systems. With a variety of displacements, mounting flanges and input shafts, these pumps have grown to be a mainstay in both mobile and industrial applications. Optional flow control and priority flow end covers are also available along with an optional built-in reservoir on some models. In addition, our MA10VO piston pumps come in range of displacements and with a variety of porting, mounting, and flow and pressure control options. 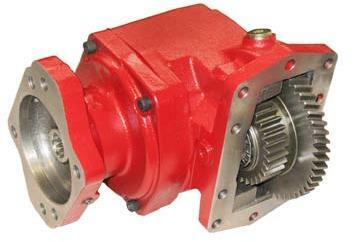 Metaris MHC & MHG Dump Pumps are known for their ruggedness, reliability and interchangeability. Available in both the 101 Remote Mount and the 102 Direct Mount configurations and C or G frames, these pumps offer cast iron construction, a variety of displacements and “Air Shift” capabilities. Our Dual Pressure Dump Pumps come equipped with two relief pressures on them: high pressure (3000 psi) for Walking Floor® applications and low pressure (2000 psi) for dump applications. The MHUP Unloader Pump is ideally suited for the refuse market. The MHUP can be retrofitted on existing packers without major system changes. The integral 12 VDC solenoid can be operated from the cab, allowing the operator to pack on the run while operating in residential areas. Our MDV Dry Valve Pump is a practical solution for those applications where you stop the vehicle and shift to engage the PTO. Ideal for refuse packers, snow and ice equipment and many other mobile applications, the MDV can reduce fuel costs and operator fatigue. Metaris Bearing and Bushing Pumps & Motors are available in 14 models with a variety of mounting flanges, shaft configurations & porting options. Multi-section units, piggyback designs, dowelled assemblies & flow dividers are all available. 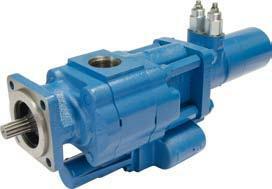 These are versatile pumps with a variety of applications. Our MHP51 wide body gear pump is well suited for applications such as: utility line trucks, refuse equipment, snow/ice control, low boys, transfer/live floor trailers and other heavy duty equipment. 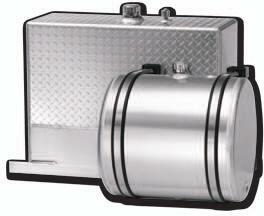 Metaris tank options include Polyethylene Upright, Steel and Aluminum Upright and Steel and Aluminum Saddle Mount. Available in the most popular gallon sizes and includes all mounting hardware. For shifters, we offer air, wire and lever setups. These utilize a steel fork for durability and strength. All shifters are very compact for close installation areas. Our controllers are offered in both single and dual configurations and our control towers come in 8”, 10” and 12” heights. And for more precise control and feathering while dumping, we stock our MH787F feathering valve. Our aftermarket brand Orbital Motors are your best low speed high torque motor option in an economical and compact design. 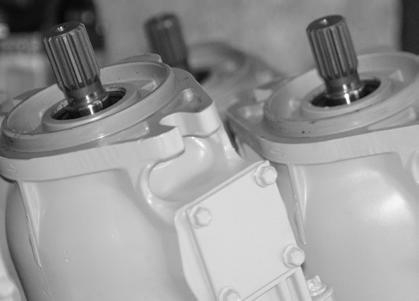 Utilizing proven Roller-Star technology, these motors allow for high efficiency, smooth operation and a long operational life. 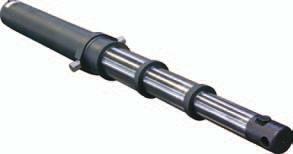 The motors come equipped with a high pressure shaft seal and also come in a range of displacements: 50cm³/r to 1250cm³/r. They are fit, form and function replacements for common motors in the market today such as Eaton®/ Char-Lynn®, Danfoss®, Parker® and White®. We stock and repair all types of cylinders: Chip Dump, Crane, Press, Telescopic, Shear, Excavator, Steering, Marine, Mining and Earthmoving. We are the largest authorized distributor for HYCO® Telescopic Cylinders, stocking a variety of models and styles setup for various dump truck applications. Our hydraulic cylinder specialists have more than 165 years of combined experience. With our specialty cylinder departments (large, small and telescopic) we are capable of handling any type of cylinder repair. 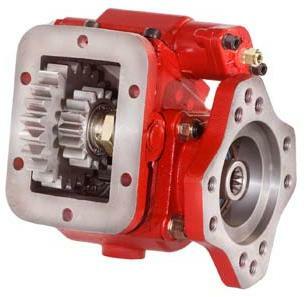 The MH6 series PTO has been designed to work with most of the existing transmissions in the market. It is a very durable PTO with a wide range of input gears, shifters, speed ratios and output shafts to meet market applications. The Metaris MH8 PTO is our MH6 PTO with the ability to mount on the 8-bolt Transmission opening. This design uses no adapter plates and cuts down on leaks and installation time. It has an “A” ratio that is not offered in the MH6 model. 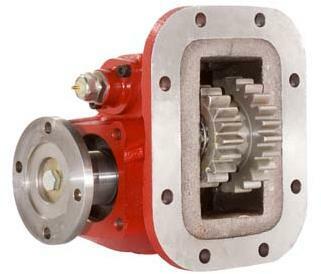 The MHD8 series PTO has been designed for heavy duty applications and is very compact. It is available with standard internal ratios and several types of output options. 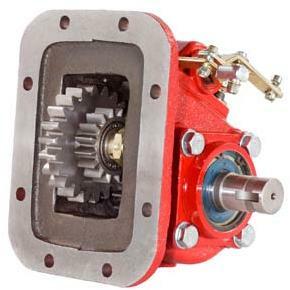 The MHS10 series Hot Shift PTO is a standard PTO for the 10-bolt World Allison® Transmission. This Hot Shift offers 5 different ratios and 5 different outputs to meet your needs. It is a robust PTO that offers shift on the fly capabilities.